I am in Guatemala safe and sound! My team and I arrived to Honduras on Saturday morning and our bus ride into Guatemala and to Puerto Barrios went about as well as a bus ride in a third world country can go. The important thing is that we are here and we are happy and safe. We haven’t started doing ministry yet because the missionaries have been very gracious in allowing us to have this week to allow us to get acclimated and prepared to tell the people of Puerto Barrios about The Father who called me on this journey. My team is wonderful and I am so blessed to know each and every one of them. We are made up of people from all across the country (and canada) and different walks of life. Our diversity is so fun and another detail that makes it as evident as it is that The Lord knit us together perfectly. We are staying in a happy little green house and I am thankful to say that we have running water and electricity. The past two days have been such an adventure already. We have been so welcomed and so loved by by our ministry partners. There is not a doubt in my mind that we are where we are supposed to be. Yesterday we went to church with Paul (the missionary) and his wife Hilda. How did we get there? Glad you asked. We took an empty eighteen passenger van and fit twenty three people in it. It was hot and uncomfortable, but so so fun! In a few days I will be sending you all a list of prayer requests regarding the ministries, but for now please be praying for the work that The Lord is going to do! He is already moving within my team and I know He is going to do big things in and through us in the coming weeks. Thank you for your prayers! Much love. Tomorrow, my summer adventure begins. If you’re reading this, than you’re on my email list or you’re visiting my blog, either way, it means that you’re keeping up with me this summer, so thank you. Thank you for taking the time to read this and for caring for and loving me enough that you desire to hear about what The Father is doing in and through me in Guatemala. It is incredibly encouraging to know that you care, to know that you’re praying for me and my team, praying for the Guatemalans we will meet, to know that i am supported by some of the most wonderful people on the planet. You’re rad. i’m thankful for you. So, here i give you my itinerary, ministry information, prayer requests, and more! Sunday June 1st, yesterday i flew to Atlanta to stay with Rebekah Johnson (the #1 best friend and provider of all things ridiculous and wonderful) and her family. Tuesday June 3rd, Passport Team Training Camp begins! Adventures in Missions is located in Gainesville, GA and we will be camping there for a few days to get trained before we fly out! This is where i will meet my team for the first time! Saturday June 7th, we’re off to Guatemala! We are actually flying to Honduras and then crossing the border to Puerto Barrios, a town on the eastern coast of Guatemala- where we will stay for the duration of our trip! Wednesday July 30th, fly out of Guatemala City, Guatemala and head back to The States! i will get home that night. In Guatemala, my team and i will be working with a missionary named Paul Tonetti and the name of the ministry is Shofar Ministries in the town Puerto Barrios. We are not going down with a set project or schedule of what we will be doing from day to day. While we are there, we have the blessing of being the hands and feet of Christ through Shofar Ministries, meeting needs and showing Christ’s love to the people of Puerto Barrios. The ministry we do will include street ministry, sports ministry, cleaning at a local school, working at an orphanage, visiting the dump, and church activities such as skits, worship, and sharing testimonies. Our days will be spent doing five to seven hours of ministry. i wish i had a website to give all of you but unfortunately the website has been “under construction” for months now. Please be in prayer for me and my team members as we all travel to Gainesville, GA to begin training camp and as we meet for the first time. First impressions can sometimes be misleading and i am praying that The Spirit helps each and every one of us to see that. For training camp, we will be with seven other mission teams that are traveling through AIM around the world! Please be in prayer for them as well. My team is made up of about twenty five people and as you pray for me, please also be praying for them. Some of them have shared prayer requests for our summer to give others an idea of how you can be praying for them. Jeffrey Enriquez-Hawkes– I’d like prayer for many things but i’ll keep it simple. First and foremost i would like to see all of us in fellowship as Christ has called us to be. Second, that there would be an increase of love, faith, wisdom, and discipline. Marielle Moguel– I want the Lord to continue to show me what it is to only love from a place of overflow that comes from intimacy with Him. 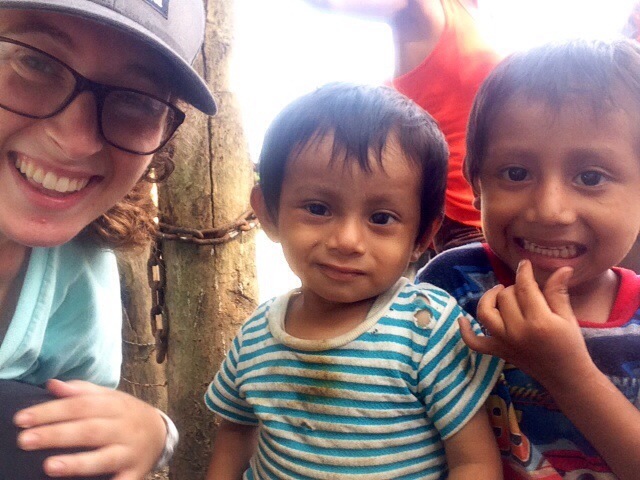 Alexis Pope– I would like for The Lord to show me how to wholeheartedly trust him so that people see His glory in everything I do, while in Guatemala, and back home. Ashlind Koskela– My prayer is for boldness to proclaim the gospel faithfully, and for the people we encounter to be open and receptive to Jesus! Autumn Rose Evans– My prayer is for openness, a Christ like joy when spreading the message, and wisdom! Mark Hannasch– Pray for opportunities, and wisdom in those opportunities as we share the Love of Christ! Also pray that we would be a team that would dedicate ourselves to serving each other and building each other up! Kaitlyn Clements– Pray for peace/understanding over each of the team members throughout the struggles we may face. And to be bold and persevere through whatever comes our way!! Valery Trabucco– My heart for these two months is that we would encounter Jesus in a deep way on this trip, meeting him in the people that we meet. And growing in our desire and knowledge to serve him with our entire lives and beings, that our only desires would be to see His Kingdom come. I am also praying that we would have God-given opportunities to set people free from spiritual oppression and that we would be given boldness and might with our words and our actions and in our authority in Christ. Personally, this summer I hope to be stretched outside of my comfort zone so that my obedience is more than simply saying “my trust is without borders.” I hope also to learn to listen to God more and to hear his guidance for every step that I take. Kayleigh Danielle– My prayer is that we will learn to be still in His presence and be obedient to what He has planned! Lastashia Ruth May– I would like prayer about our team and that we will work well together but also that God will continue to reveal Himself to me as my Provider and Sustainer. As my other team members share prayer requests, i will get them to you as i can but for now i will just give you their names so that you know who you’re praying for when you pray for my team. Including those listed above we also have: Alyssa Miller, Emily Rangel, Sarah Spurger, Meg Nangle, Hannah Riggle, Aimee Hoffman, Savannah Parnell, Katherine Shaffer, Sarah Deloach, Zoe Sturges, and Karyn Potach on our team. For me, please pray that i stay open to anything and everything The Father has for me this summer. i want to learn what it means to abide in Him actively, to listen to His Spirit in every step of my every day. i have no idea what He has for me this summer, what is waiting for me in Guatemala, but i can’t wait to walk through it. Lastly, i am asking that you pray for all the people that we will meet, all the ministry we will do, and all the places we will go. May every second we spend in Guatemala be soaked with who Christ is. Once again, thank you for your prayers and your desire to keep up with my summer. i am more thankful for you than you know. i can’t wait until i have stories to share with you all about The Father’s work in Guatemala! i swear it was just yesterday that i was jokingly telling someone that i was going to spend my summer in a foreign country. This whole thing was just a thought in my mind, a dream that would go no where because how likely was it that i would find a two month long trip with a safe organization to a hispanic country? Apparently, very. Our God is funny like that. This process, from me finding the organization to the cap on my fundraising to the days leading up to this trip, has been screaming of The Lord’s goodness. Even if i didn’t see it at the time, i see it now. Today, one of the last days that i am home, i’m going to share just how intricately detailed The Father has been in the process of me getting to Guatemala. It’s been too sweet not to share it. i started 2014 at Lake Forest Ranch (the camp in Macon, MS where i have spent the last two summers working, as well as five summers as a camper // pictured above) working in the kitchen. Through a series of not so wonderful events (nothing to do with the camp, everything to do with me) The Lord made it very clear that i was not meant to spend my summer at LFR again. i love Lake Forest more than i love most places in the world. It’s where i accepted Christ, it’s where The Lord has used as the setting for some of the most critical work He has done in my life. Spending my summer away from LFR is so bittersweet. Lake Forest is home in every sense of the word, but The Father gave me peace about it, He made Himself clear in it, and that was that. His will be done. Now that i knew what direction my summer was not going in, i began asking The Lord to show me where He wanted me and slightly begging Him to tell me. i’m a planner, so i hate not knowing what’s coming and The Lord knows that, but i had to make sure that He extra knew. The prayer went something like, “Father, please reveal to me Your plan for my summer, in Your timing… But if Your timing happened to be like right now, that would be cool too.” i spent a five hour car ride talking to Him like He was in my passenger seat; Sharing with Him what i would love for my summer to hold, what i wouldn’t want it to hold, singing praises to Him when i was at a loss for words (which we all know doesn’t happen often). i wouldn’t take that car ride back for anything. In the car i had shared a lot with The Father, but a lot of our conversation was about how badly i wanted to serve out of the country, preferably in a Spanish speaking country. Obviously He knew that, He made me, He made my heart, He gave me my love for Hispanic Culture and the Spanish language- He knew. He gave me the desires that set the stage for this journey. When i got home that night, i did what all nineteen year olds do, and i checked Twitter. i remember sitting exactly where i am now, scrolling through the feed like i’ve done a million times before, and then Jesus answered my prayer through a tweet that my sweet friend Bella had shared. It was a quote posted by Adventures in Missions. i had never heard of Adventures in Missions but the name, as well as the quote, caught me and i stopped what i was doing and i looked at their website immediately. That’s when the pieces started falling together in a way that only the Creator of the Universe could make them. i’m going to map out my “pre-finding AIM thoughts” for you so you can possibly see what finding their trips was like for me. In knowing that i wanted to go out of the country, i knew that i wanted at least a little time at home. My ideal dates were June 1st – July 31st. i knew that i wanted to go to a Hispanic country, i wanted to go to a place with good coffee (i’m not ashamed), and i wanted to do a handful of different things while i was there, not just one two month long project. In my mind, it was a long shot. i knew that it would be near impossible to find a trip that met all of my expectations. i used my flawless public education technology skills and navigated myself to the college aged trips to Central America. The Spirit urged me to click on Guatemala, so i did, and i couldn’t help but laugh at just how big our Creator is. “Spend your summer in Guatemala, a land of natural beauty, excellent coffee, tumultuous history, and vanishing hope. It’s more than just pretty scenery. Guatemala is also home to families living in garbage dumps, orphanages, natural disasters like volcanic eruptions and mudslides, and overflowing prisons. You can reach the people of Guatemala by bringing the hope of Jesus to the hurting. Minister to the communities by leading VBS, visiting the sick in their homes, teaching English or community outreach programs. You have the opportunity to serve the people of Guatemala in a practical ways, sharing the love of Christ with them through meeting tangible needs. Now, almost five months later, i am about to go to the store to get stuff to begin the packing process. i am going to Guatemala. My Heavenly Father has made this happen. He has been in every detail of this “Pre-Adventure Journey” and it has been wonderful and stressful and perfect. i can’t wait to share with you all the other ways He has been in this. PS. Please join me in praying for Lake Forest Ranch! The first camp of 2014 starts today! Lessons in the Journey of Fundraising. Fundraising can be awkward, difficult, and frustrating. It can also be beautiful, encouraging, and fun. In the past month and a half, i have experienced both sides of this. 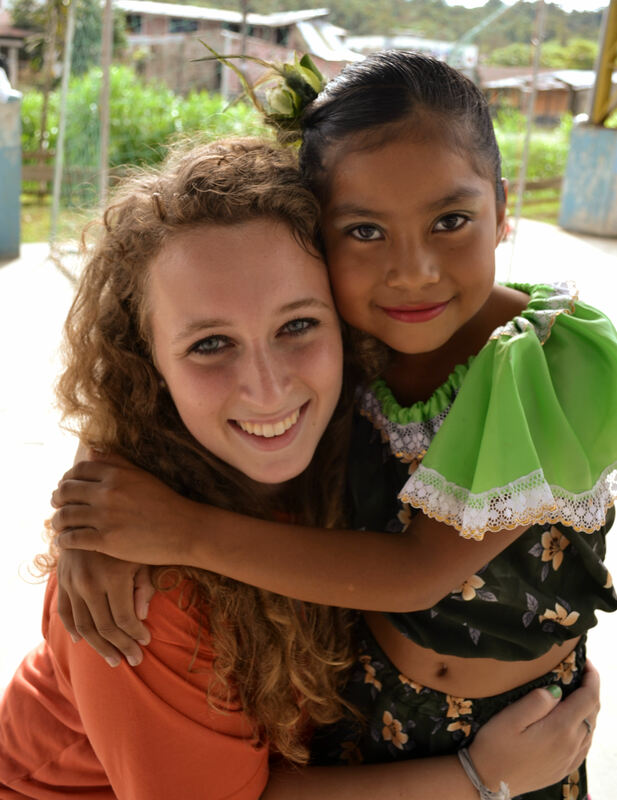 In applying to go on the trip to Guatemala, i knew that raising the money wouldn’t be an easy thing. i also knew that my God is bigger than any amount of money i could ever have to raise. i knew that if He was actually calling me to go and serve Him there, then He would provide. No matter what anyone said, no matter how discouraged i was, His will would be done. Man, am i thankful for the truth in that. About five days after i was accepted to go, i found out that i had less than three weeks to raise half of the money for my trip. Initially, i was terrified (which was not of The Lord). Then a peace came over me (which was of The Lord). The Lord used scripture, encouragement from friends, and my knowledge of who The Father is, to calm my nerves, to grow my faith in Him (special thanks to all of you who were a part of that). i trusted Him to do what was needed, despite the financial mountains i had to climb in such a short amount of time. i knew that it would be okay. i believed it would be. Then my deadline came and the money wasn’t there. i was hundreds of dollars short and i didn’t know what to do. Thankfully, i am traveling through an extremely gracious and Christ led organization, and they have shown me a Christlike amount of grace in the fundraising process. When i explained to a staff member what was going on, when i explained how i felt that The Father wasn’t leading me to donate from my savings, they said “okay, we trust you” and continued to encourage me in my fundraising. To say the least, i am thankful to be going with Adventures in Missions. For weeks, i did everything i knew to do to try and get the money in by the deadline. i sent letters, i stepped out of my comfort zone, i prayed about paying for it myself, i did what i thought i needed to. Yet, on March 5th, i didn’t have the money that i needed. i sad it was okay, i said i wasn’t discouraged, and i tried not to be. Yet, because i am human, i was. God did not act in Ashton’s timing, and i didn’t like it, no matter how much i tried to lie to myself and say i was okay with it. i kept fundraising, doing my best not to let the fact that i didn’t meet the deadline set me back. i sent more letters, heard back from more people, but it still wasn’t happening. Days, weeks passed after my first deadline, and i still hadn’t reached it, i still wasn’t even close to it. i continued to say that i was trusting The Father, i continued to pray for the funding and possibilities of this trip, and nothing happened. i was at a loss. i became discouraged, confused, and frustrated. Asked the typical, “Why, God?” questions, and let the doubts overshadow the hope that my Creator has put in my heart because of who He is. Once again, i was at a loss, but in a completely different way. i was at a loss in the best way i possibly could be. Literally overnight, hundreds of dollars of support were there. To give an illustration; when i was little, my dad, like a lot of dads, would come up behind me when i had my back turned. When i least expected it, his hands would come out of nowhere and all the sudden i’m off the ground, flying six feet up onto my dad’s shoulders, laughing the whole way up. It was always joyful, though sometimes scary because it was so unknown; however i trusted it because it was my dad, my best friend, holding me. Last Thursday, my Heavenly Father did the same thing and it has been such a joy to sit on His shoulders and feel His strength as He carries me through this. Matthew 19:26 says, “With man this is impossible, but with God all things are possible.” This is a verse i have heard/read/said a thousand times, but never felt as first hand as i did last week. Before the deadline and even after the deadline for a bit, i found hope in that verse, but when the money wasn’t there, i wasn’t walking in the way a daughter of One who can do the impossible would walk. i was not appreciative of the small amount of donations i was getting, but now i know that without them, the trip wouldn’t be possible. The small donations add up, and i should have been, should be, just as thankful for them as i am the big ones. The small donations are just as much of God’s work, just as much of a miracle, as the big ones are. i got so caught up in the numbers, in the dates, in the amount; in what the world says matters in raising money. i didn’t allow The Father to use this time to teach me more about Him, i used it as a time to put Him in a box and stress myself out (it wasn’t helpful, obviously). i regret it, but i will not allow myself to brew over it, because The Father’s mercies are new with each morning, and every day is a new opportunity for me to fall more in love with who my Creator is. i will not waste that time brewing over how i should have acted. i will live in the now, because The Father can use me in the now, while the past will be as it is forever- something to look back on and learn from, not beat myself up over. Our Creator has taught me so much about Himself through this process and it’s been so fun and so hard at the same time, but i wouldn’t change any of it because of the lessons that it’s taught me. i am so thankful to serve a God who is not hindered by my humanness, but rather uses my humanness to grow me to be more like Himself. He will always work in me despite me, and i think that that is beautiful. i am so thankful for that Thursday where He surprised me by just how big and sovereign He really is. i am learning more about Him everyday and it is such a joy. With Him, all things really are possible, and i hope and pray that that truth is never less sweet than it is in this season. 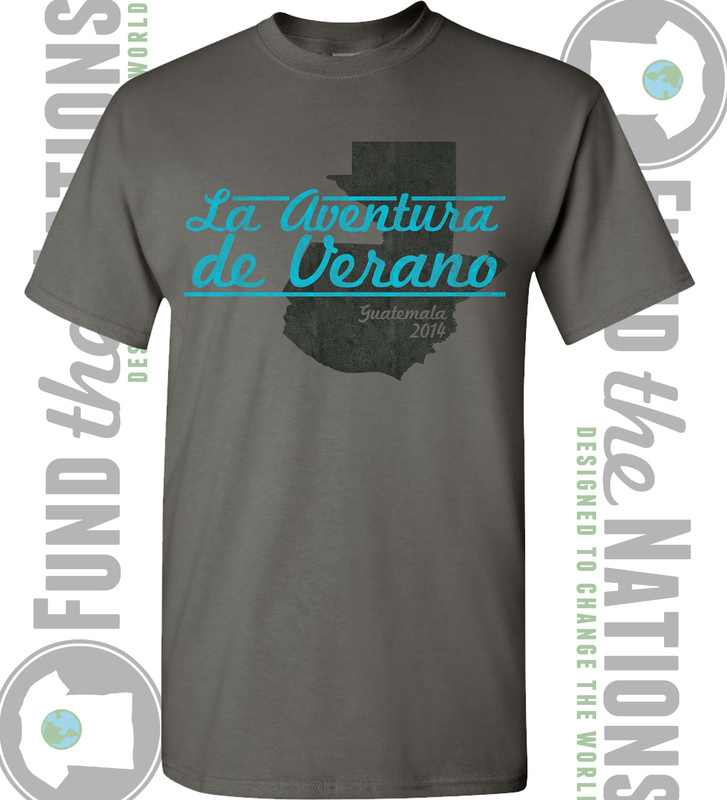 They are $20 and i will be selling them until March 31st They say “The Adventure of Summer” in Spanish, for those of you who are curious. Comment on this, text me, message me on Facebook- you choose how to contact me if you are interested in purchasing one. i am so thankful for all of your prayers and support in this journey. i am overwhelmed in the ways that i have been supported, from fellow college students, ST sisters, old teachers, friends, and the like. The Father has been involved in every penny that has been donated and this trip would not be possible without those of you who have made yourself available for The Father to use to support me. There are not enough words in the world to express my gratitude. You are all wonderful and i thank The Lord for you everyday. i look forward to continuing to write about The Father working in my life during this season of growth and change. He is doing a big work in me and it is such a joy to walk through and a blessing to be able to share. Thank you for reading about my life & His work. i hope that in some way or another, He used it in you for His glory. i started this blog to share about what The Father is doing in my life and really, i’m not doing a very good job. i’m so bad at making myself sit down and write, and with that, if i do sit down to write, i have this nasty habit of deleting it two paragraphs in, shutting my computer and not returning for days. i’m confessing this because The Lord but it on my heart to write sometime last week and this is the third time i’ve sat down to do so. Hopefully i’ll make it past two paragraphs and it’ll be something worth sharing. i’m living my twentieth year of life, my sixth year as a Christian, and my first full year as a college student and i am learning more about who our Heavenly Father is every day. It’s so fun. As i’m learning more about The Father, i’m learning more about who i am in Him and He is showing me the different things in my life that i need to change to honor Him. Recently, i’ve realized that i have this stupid habit of putting God in a box, even when i don’t realize it (i know i’m not alone here). It’s so silly! He is the one who created the moon and the stars, who filled the oceans and paints ever sunset, and yet i waste time by putting Him in a box! i will walk through my days being miserable, hating class, hating the weather, hating a meal and so many other little things that 1. i shouldn’t let ruin my day or steal my joy for even a second 2. The Father can turn into something so much more than i let Him! Yes, The Lord is all about the big things; the college choice, the summer internship, the relationship. He is there to guide us through every step of those big decisions, but He’s also there to help us with the small ones. He’s here to help us see even the cloudiest days as a blessing, to see going to our most boring class as an opportunity to praise Him for the opportunity to learn. Our Creator is in the details of everything we do and personally, i’m tired of living like He isn’t. Why do i let dumb little things steal the joy that my Creator has put in my heart? i don’t want to let the enemy have that power any more. From the strength of my morning cup of coffee to the comfort of my bed at night– The Father is in the details of it. i just have to stop ignoring Him. i have to realize that He is in them. It is a blessing to be able to make myself countless (and sometimes too many) cups of coffee. My bed at school is more comfortable that i could ask, and i should be thankful for that rather than just letting it be a blessing to overlook. One day last week, i woke up and made the choice to look for Him, to quit ignoring the fact that the little things are gifts just as much as the big things. Goodness, it was without a doubt one of the best days i’ve had this semester (and get this– it was spent studying for midterms). He is so good. Let me tell you about it. Well actually, let’s let Past Ashton tell you about it. That Saturday was a day where i went to sleep with a smile on my face. Look for The Lord in the little things, go to Him with the little things, talk to Him through the little things, let Him walk you through the little things. Doing so is changing my every day life and impacting me in an internal way. i pray that one day i not longer put God in a box. i hope that i see Him for all i can concept that He is. As He is working in me, as He is changing my heart, i will continue to look for Him in the details. i will not overlook the sweetness of the sunset or the breeze in my walk from classes. i will not let the little things steal my joy, i will invite The Father into those moments, to steal away those frustrations and cover them in His goodness. Even the worst days can turn good simply because He is good. Even the most boring classes can be interesting because He is good. Even the longest nights spent studying can be fun because He is good. Even the idea of raising $1,500 in two weeks can be fun because He is good. Seriously, the list could go on forever. The past few weeks have been such a joy, walking through them with my Creator. i am so thankful that i serve a God who is not distant from me, but rather desires to be with me through every step of every day. He is in the details whether we look for Him or not, but the thing is, He WANTS us to see Him in the details. He wants us to experience Him in new ways. He desires a close personal relationship with us and i just think that that’s really cool. i hope i never get tired of experiencing Him in new ways. i hope that i continue to invite Him into my life to change me for His glory. i hope i never stop looking for Him in the details. i hope that one day i become the woman He made me to be, or at least that i don’t put up any walls to stop that from happening. i hope that i live a life pleasing to Him. i hope i never lose sight of the life that He’s called me to live. He is such a wonderful, gracious Father. i am thankful that i get to know Him, i am thankful i get to see Him in the details. In 2012, i had the opportunity to travel to Ecuador with my home church to serve The Father through mission work. The week I spent there, i fell in love with His children, international missions and Hispanic culture. Leaving Ecuador, i knew my work for The Lord outside of The States was not done. To His glory and my joy, He has called me south once again, this time to Guatemala. I cannot wait to spend my summer in Central America falling more in love with Our Creator and His children. This trip, however, does not come cheap. For this reason, i ask for your help. I hope that this New Year is treating you well! The Lord is doing some big things in my life and I wanted to write and share them with you! This past fall I started school at Mississippi College and I am pursing a degree in Christian Studies with a concentration in ministry. Recently, The Lord has shown me that He has called me to the mission field, and more specifically to Hispanic countries. My desire is to serve The Father and share His love with the people who do not yet know Him. This call has become a passion, and this summer I will be serving as a missionary in Guatemala! At the beginning of June, I will be traveling with Adventures in Missions (AIM) through their Passport program. I will spend two months in Guatemala serving in ways such as leading a VBS in the community, visiting the sick in their homes, teaching English, and being a part of community outreach programs. It is such a blessing and a joy that I was accepted for this trip and I cannot wait to see how The Father uses me during my time there. I know that The Lord is going to use this trip to change my life. I am excited to experience the diverse culture, see the different way that ministry looks, and fall more in love with the Spanish language. This summer will be unlike anything I have ever experienced and I am overjoyed at the thought of the work The Father is going to do. I know He is going to change my heart and the way I do life and love others, and it will be such a sweet thing to walk through. I confidently trust that The Lord has called me to Guatemala this summer and that He is going to provide all the means to get me there. I am hoping and praying that He is going to use you to do this. I am asking that you consider supporting me prayerfully as well as financially. The total amount I must raise to go to Guatemala is $3,186. This will include all costs of travel, food, and lodging while I am getting to and staying in Guatemala. I have a number of financial deadlines that I must meet for my trip, the first of those being March 5th where I will need to have $1,500, and all of the funds must be in before the end of May. If thirty-two people donate $100, I will be fully funded. I trust The Lord to use you to help me get there. With this letter, I am inviting you to share in this ministry. If you would like to donate online, you may do so here. When you reach that page, you will need to select The Passport program in the drop down menu and enter my full name, Ashton Ray, in the section below that. Online, you are able to pay by bank draft, credit, or debit card. If you would prefer to pay by check, email me at ashton.v.ray@gmail.com so I can get the appropriate information to you. I am so anxious to see the work that God is going to do in and through me during this trip. I hope that the work He does will be a testimony and blessing not only to those I serve or those I go with, but also to you. It would be an honor to have you donate to my trip and give me the opportunity to represent you as I serve as a missionary in Guatemala. Thank you for your prayers, verbal, and financial support. I am praying for you as well and I cannot thank you enough for considering partnering with me in this ministry. i spend an incredibly large amount of time driving between and across Alabama and Mississippi. If i did the math correctly, i’ve spent close to eighty-five hours of my life driving back and fourth since last May when i went to Lake Forest for staff training. Eighty-five hours is a long time to spend in a car, even if it’s stretched out over nine months. i’ve found that long car rides alone aren’t miserable if spent with The Father. Screaming worship music while traveling the forever long highway that separates one home from the other is quite fun. Having intimate prayer and real-talk with The Lord is my favorite way to spend the long hours. It’s wonderful, really. i’m thankful that i have the option to do so. Anyway, one of my more recent Mississippi to Alabama drives was spent in prayer for the summer. My past two summers have been spent serving in the same place, but i knew that this year The Father had something different in store. i just didn’t know what. He did though. Conveniently enough, as soon as i got home, He began to reveal His plan to me. Through twitter of all things, i found the organization Adventures in Missions, “an interdenominational missions organization that focuses on discipleship. We emphasize prayer and relationships in our work amongst the poor.” Obviously, i was interested immediately. i found the trips for college aged kids. i was drawn (mainly by my love for the spanish language and coffee) to the Guatemala trip. i applied. i waited. i interviewed. Being the kind of person i am, i was incredibly nervous about a phone interview. However, because we serve a faithful, detail oriented God, the interview could not have gone any better. i did a follow up interview (that i was incredibly unprepared for) and The Father was in it just as much as He was in the one i knew was coming. He is faithful. Today, i received the call i’ve been waiting for. Because i have a faithful, loving, and gracious Heavenly Father, i am spending my summer in Guatemala. Our God is in the big details and the small ones. He is in the summer we have yet to see. He is my Father, who has given me a heart for missions, a love for coffee, and a desire to speak Spanish. And is now He is taking me to Guatemala, a place where the three will collide. i do not know exactly what the summer holds, but i do know that it will be good, because The Lord is good. i’m excited. For more information on Adventures in Missions, visit their website. If you have any questions about my trip, the application process, or are maybe possibly interested in helping me get there financially, please let me know. Please be praying for me, my heart, my future teammates, and all who i will meet this summer, for God is about to do a might work. Finding Grace & Starting Over. Last month, i stayed the night with my mother for the first time in four years. We laughed a lot, we ate cheesecake, we watched stupid reality shows, we talked about boys, we complained about silly things, we shared our hearts with each other. It was a blessing. Four years ago, i would never think i’d spend time with my mother and enjoy it. i didn’t think i’d miss her when it was time for me to leave. i swore i’d never open up to her again, but there i was- sitting in her living room and loving every minute of it. Praise God for healing relationships. My freshman year of high school, my mother broke our relationship. After choosing an addiction (for purposes, we will call it “the monster”) over her children and her husband for ten(ish) years, she didn’t have to choose anymore because we were no longer there for her to choose. My life fell to pieces. Over the course of nine months, my mother hurt me more than she had in all my fifteen years of life combined. What she did does not matter, but at the time, they broke me. Yet she continued on, unaware of what she was doing to our relationship. i took a step back. The Lord made it clear to me that in order to protect my heart, i needed to let her take care of her and stop putting myself out there to be hurt. Over the course of two and a half years, i tried to let her back in my life three times. i don’t remember details, i just remember not being ready. i remember trusting that The Lord would show me when i was ready for the healing to begin. Then, He did. He took a year to lay the foundation. During that year, both mine and my mother’s lives changed. She finally realized that she had to choose between a relationship with her children or her “the monster.” i am thankful everyday that she chose us. Around the time she decided to really fight “the monster”, i grew up. i stopped ignoring the problem, i stopped ignoring that i was hurt and took a step towards it. i began to write her, The Father softened my heart. i missed her, The Father gave me the humility to tell her that. i opened up to Him, and He opened my heart to my mother. We found grace and we started over. It’s taken years to fully restore our relationship, and that’s okay. Good things take time. There were a lot of broken pieces, but The Lord put them back together. We do not speak of the past. We do not dig up dead “monsters.” i trust her, i love her, i want her in my life. i’m proud of her for the battle she fought against “the monster” (she’s one mess of a soldier). i’m humbled by the never ending love she has shown me. She is my mom and i am thankful for that. i would not trade her for the world. All of this being said; stop thinking that The Lord can’t handle your problems. Stop imagining that your sin is too big, that He does not care, or will not help. We have a loving Father who will use the worst of situations for His glory and our good (rom 8:28), whether we think He can or not. There is glory to be found in the darkest of days, there is healing to be found in the most painful wounds, there is love to be found in broken places. Let Him in. Let Him win. It will not be painless, it will not be beautiful, but He wants to fight for you.